French law differentiates between contractual liability and tort liability, and the two regimes are mutually exclusive. A party bound by contract with another party may only seek its counterparty’s liability in the contract. Conversely, where there is no contract (or where a contract has yet to be signed), claims may only be brought as a tort action. Generally speaking, the most common cause of action against banks and financial services providers is the breach of their general duty to inform or warn their clients of the risks associated with financial products. Although the majority of these claims are arguably pre-contractual, courts usually see them as claims in the contract. In certain circumstances, clients can also rely on misrepresentations or the deliberate omission of information to rescind contracts. Claims relating to poor performance by banks or financial services providers of their other contractual obligations are less common. Regarding specifically regulated products (eg, personal loans, contracts with consumers or non-professionals, etc), French law is often very specific when it comes to regulating negotiations or contract terms. Banks and financial services providers must follow strict rules as to the form and substance of the contracts. For example, consumer loan contracts must be in writing, allow for a 14-day waiting period for the consumer after signature, and abide by specific and stringent rules in terms of the information the bank must provide regarding the full cost of the loan (interest and all other charges and costs). These rules generate many disputes and may result in civil liability for banks or financial services providers, the rescission of contracts or the loss by the bank of its right to a contractually agreed interest. Courts have long recognised that banks and financial institutions owe a general duty of information to their clients. Since 1 October 2016, and the entry into force of the new French contract law (Ordinance No. 2016-131 of 10 February 2016 applicable to contracts concluded after 1 October 2016), the Civil Code expressly provides that parties shall provide to their counterparties any information (save an estimate of the value of the service in question) that might be decisive to the consent of that party. Subsequently, in cases where this information has been intentionally withheld, the contract may be rescinded. This rule is public policy, meaning that parties may not contractually agree to disregard it. It is also worth noting that courts have imposed a duty on banks to warn the clients of the potential consequences and risks associated with loans; banks are obliged to gather information regarding their clients’ assets and ability to repay, and may be held liable for granting an inappropriate or excessive loan to a non-sophisticated borrower. 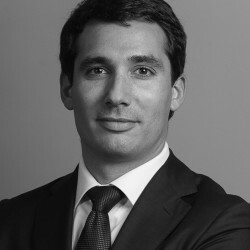 In a ruling of 18 January 2017, the French Supreme Court for civil and commercial matters (Cour de Cassation), stated that no duty to warn its client is owed by a bank where the loan was proportionate in light of the financial situation of the borrower at the time of the conclusion of contract. In addition to the general principles of contract law, the Monetary and Financial Code (MFC) and the regulation issued by the financial markets regulator (AMF) (the regulation is referred to the RGAMF), provide that investment service providers (ISPs) act ‘honestly, fairly and professionally’ and ‘in the best interests of clients and the integrity of the market’ (articles L. 533-11 of the MFC and 314-3 of the RGAMF). In particular, ISPs must provide their clients with information to help them understand the nature of the investment service, the specific type(s) of financial instrument(s) at stake and the associated risks. The scope of the information to be provided will depend on whether the client is a professional or a retail client. the financial instrument in question is of a ‘speculative nature’. The Supreme Court recently restated that the ISPs’ duty to warn investors is limited to speculative financial instruments (Cass. Com. 18 January 2017). The concept of a ‘speculative financial instrument’ is not clearly defined, but generally refers to instruments traded on future markets with a high level of exposure. There is no specific liability regime for claims for untrue or misleading statements or omissions in prospectuses and periodic financial disclosures. These claims fall within the remit of the general rules governing civil liability. In most cases, they will be brought on a tort basis. Claimants will need to establish a wrongful act (action or omission), a loss and a causal link between the wrongful act and the loss. For the sake of completeness, it is worth noting that the AMF is responsible for verifying the financial information disclosed by companies before corporate finance transactions (eg, admission to trade on a regulated market, public offerings, etc) as well as mandatory disclosures made on an annual, half-yearly and quarterly basis. In the event of a breach by an undertaking of its regulatory disclosure obligations, the AMF may impose penalties on the issuer, its senior manager in his or her capacity as the company’s legal representative and, more generally, any person or entity found to have interfered with a public disclosure by disseminating information that is false, imprecise or misleading. As a general rule under French law, all contracting parties must abide by an obligation of good faith, which covers all stages of the contract (ie, negotiations, conclusion, performance and termination). The good-faith obligation creates a duty to act fairly and consistently and to cooperate throughout the life of the contractual relationship. Since 1 October 2016, the duty of good faith is encapsulated in article 1104 of the Civil Code. This provision expressly states that the duty of good faith is public policy, and thus, it cannot be disregarded by contractual agreement (which was already the case in practice even before the entry into the new French contract law). Nevertheless, in practice, good faith is rarely the primary cause of action used by claimants (or retained by the courts). As discussed above, claimants will usually rely on a breach of the bank or financial institution’s general duty of information, or a more specific breach of the applicable legislation (especially in cases concerning strictly regulated products). The concept of fiduciary duties does not exist as such under French law. The general principle is that banks must refrain from interfering in their clients’ affairs. This rule is known as the non-intervention principle. The principle is twofold: banks have no obligation to deter their clients from carrying out a wrongful, inadvisable or risky act or operation; and they cannot refuse to execute a transaction order from a client on the basis that it would not be in the client’s best interest. an ‘intellectual abnormality’, such as a transaction that would appear legitimate at first glance, but when examined with more scrutiny shows signs of fraud or illegality (eg, a standard bank transfer for an unprecedented large amount, a sudden and unusual high number of transactions within a short period of time, transactions in or out of tax havens, etc). Under French law, contracts have a binding effect and must, therefore, be performed by the parties (article 1103 of the Civil Code, former article 1134 before the entry into force of the new French contract law). The same should apply in the context of standard form master agreements. However, since 1 October 2016, the Civil Code contains specific provisions on ‘non-negotiated contracts’ (ie, where the terms and conditions of the contract are not subject to negotiation between the parties, and are, thus, determined in advance by one of the parties). Any clause contained in a non-negotiated contract that would result in a ‘significant imbalance’ in the rights and obligations of the parties will be invalid. The significant imbalance does not concern either the definition of the main subject matter of the contract or the adequacy of the price. In addition, ambiguous clauses will have to be interpreted against the party that drafted the contract. As such, it remains to be seen how the French courts will apply these provisions, in particular, in respect of standard form master agreements such as the International Swaps and Derivatives Association (ISDA) Master Agreement. It cannot be excluded that these standard form master agreements will be regarded as non-negotiated contracts ‘drafted’ by banks and financial institutions. In addition to this new provision related to ‘non-negotiated contracts’, in contracts between professionals and consumers or non-professionals (where there is a direct relationship between the subject matter of the contract and the professional activities of the client, the Supreme Court takes the view that the latter should not be regarded as a consumer or non-professional), any clause creating a significant imbalance in the rights and obligations of the parties to the detriment of the non-professional or consumer will generally be regarded as unfair. In fact, certain types of clauses must be regarded as inherently unfair, and therefore, deemed invalid. In principle, limitation and exclusion of liability clauses are valid and enforceable under French law. The same principle applies with respect to financial institutions. First, in contracts concluded between professionals and consumers or non-professionals, any clause designed to limit or exclude the liability of the professional are seen as ‘unfair’, and therefore, invalid. Second, in any contract a clause designed to limit or exclude liability for breach of contract will be disregarded where the breach was made intentionally or resulted from gross negligence. Third, a limitation or exclusion of liability clause contradicting the essential obligation of the contract (ie, where the essential obligation of the contract is deprived of substance because of the limitation or exclusion of a liability clause) will also be deemed invalid. This solution originated from case law and has been incorporated into the Civil Code since 1 October 2016 (article 1170). First, in terms of non-negotiated contracts, since 1 October 2016, any clauses creating a significant imbalance in the rights and obligations of the parties will also be deemed invalid. It remains to be seen how French courts will apply this new provision. Second, although penalty clauses are valid under French law (even if the penalty is not a genuine preliminary estimate of the potential losses), courts have the power to reduce or increase the amount of the penalty should they view the penalty as agreed to be clearly excessive or too low, as compared to the actual loss. Finally, and as indicated above, in contracts between professionals and consumers or non-professionals, any clause that creates a significant imbalance in the rights and obligations of the parties to the contract to the detriment of the consumer or non-professional will generally be regarded as unfair. In fact, certain types of clauses must be regarded as inherently unfair, and therefore, deemed invalid (eg, clauses that reserve the rights of the professional to unilaterally alter the terms of the contract with respect to its duration, characteristics or the price of the goods or services to be supplied; clauses that deny the consumer or non-professional the right to request the termination of the contract in the event of the failure of the professional to fulfil its obligations; etc). Others are presumed as unfair but evidence to the contrary can be submitted by the professional (eg, clauses that allow the professional to terminate the contract with no reasonable notice period; clauses that impose more restrictive conditions for terminating the contract to the consumer or non-professional than the professional; etc). Damages are governed by the principle of full compensation, according to which the amount of damages awarded to the aggrieved party must be exactly equivalent to the loss suffered, no more, no less. First, creditors are able to withhold performance of their obligations where it is clear that the debtor will not perform its obligations and that the consequences, thereof, will be sufficiently serious for the creditor in question. Second, creditors have the right to accept imperfect contractual performance in exchange for a reduction in the price as initially agreed. In addition, a new exception to the creditor’s right to obtain specific performance, to be applied where the cost of specific performance would evidently be disproportionate, has also been introduced. If the claim is based on a tort action, damages will normally be the only available remedy. The first issue is the determination of the starting point of the five-year limitation period applicable to the borrowers’ legal action against lenders based on an incorrect indication of the global effective interest rate (TAEG), or lack thereof, in their loan contracts. This issue has given rise to a number of court decisions. The Supreme Court’s position was unclear until 2009, when it ruled that the starting point of the limitation period depends on the status of the borrower. If the latter is a professional, the starting point is the date into which the loan contract was entered; if the borrower is a non-professional, it is the date on which he or she became aware, or should have become aware, of the incorrect indication of the TAEG (or lack thereof) in the loan contract. The second issue is the scope of application of the two-year limitation period set forth by article L. 137-2 of the French Consumer Code. That article provides that: ‘[c]laims brought by professionals in relation to the goods or services they provide to consumers, are subject to a two-year limitation period’. The exact scope of application of that provision was initially debated. The Supreme Court gave the text a very broad scope, ruling that the two-year limitation period was ‘a general rule that applied to all financial services provided by professionals to private individuals’. The third issue is that of the starting point of the limitation period for lenders to act against borrowers in respect to several unpaid instalments. The Supreme Court first held that the starting point of the limitation period for such actions was the date of the borrower’s first default (thereby shortening the limitation period to act in respect of any subsequent defaults). The Supreme Court then reversed its position in four decisions rendered on 11 February 2016, whereby it ruled that the starting point of the limitation period to act was the date on which each instalment fell due. In France, there are no specialist courts for financial services disputes. However, certain large courts may have specialised chambers, which will be allocated to financial services disputes for practical reasons. Where the opponent of a financial institution is a commercial entity or person, the commercial court has jurisdiction. If the dispute is between a financial institution and a private individual, or certain types of a non-commercial legal entity, the financial institution must apply to the civil court. Where the claimant is a private individual or non-commercial entity or person, proceedings may be brought before either court at the choice of the claimant. For matters that would normally be brought before the civil court, claimants must apply to the small claims courts if the value of their claim is less than €10,000. These courts also have exclusive jurisdiction over disputes relating to consumer loans where the value of the claim is €75,000 or less. Generally speaking, there are no specific procedural rules applicable to financial services litigation. The rules will vary depending on the court before which the claim is brought (civil court, small claims court, commercial court or court of appeal) and not on the nature of the dispute. However, the statute of limitations on disputes relating to consumer loans is two years, compared with the usual five years for contractual and non-contractual claims. Although barely used in practice, financial services disputes may be submitted to arbitration (international or domestic) when the customer of the financial institution is a commercial entity or is acting for business purposes. where it does not, the financial institution will not be able to enforce the clause against the customer without the latter’s consent. Conversely, the customer will be able to enforce the clause against the financial institution. In any case, irrespective of the existence of an arbitration clause in their contract, once a dispute has arisen, parties are free to submit their dispute to arbitration. there are legitimate reasons not to refer the case to the conciliator. Otherwise, there is no obligation for parties to seek an out-of-court settlement, nor to refer their disputes to an alternative dispute resolution mechanism first. Parties are always at liberty to agree to settle their disputes via mediation or conciliation, but cannot be forced to explore these possibilities. However, if the parties have incorporated an escalation clause in their contract, according to which certain out of court steps should be taken before issuing proceedings, courts will enforce such clauses unless they are included in contracts with consumers or non-professionals. in terms of late payment, the Civil Code provides that interest only runs from the date of a formal notice to the debtor. In the Rothschild case (26 September 2012), the Supreme Court ruled, on the basis of the Brussels I Regulation on jurisdiction, that clauses allowing one party to start proceedings before any court of its choice while the other party is limited to a given forum, are null and void. In a decision dated 7 October 2015, the Supreme Court adjusted this decision, holding that clauses permitting only one party to start proceedings before multiple different courts are valid provided that the alternative fora can be objectively determined either because they are explicitly named or because objective rules for doing so are stated. The principle is that each party is at liberty to decide what evidence it will produce and is only obliged to submit the evidence upon which it intends to rely in the course of the proceedings. However, where specific pieces of evidence are held by a party or a third party, the other party may ask the court to order the production of that evidence, unless the requested party can rely on a ‘legitimate impediment’ to providing the evidence. When it orders the production of evidence, a court may impose a penalty for non-compliance (eg, a certain sum of money per day of delay). Failing production, the court will be at liberty to make any inferences it deems appropriate (there is no equivalent to the concept of contempt of court in France). Unless the dispute is between a financial institution and one of its clients; professional secrecy in general and banking secrecy in particular, are viewed as legitimate impediments to the communication of documents. Similarly, the protection of the right to privacy has also been accepted by the Supreme Court as a legitimate impediment to the disclosure of certain banking or financial information. France has its own blocking statute applicable to cases brought before foreign courts. Conversely, it should theoretically be possible for litigants to invoke foreign blocking statutes to refuse the disclosure of evidence before a French court. Generally, French courts or regulators seeking evidence abroad will call upon international cooperation agreements, such as the Hague Convention of 1970 on the Taking of Evidence Abroad in Civil or Commercial Matters, and Regulation (EC) No. 1206/2001 or the International Organization of Securities Commissions Multilateral Memorandum of Understanding on cooperation between the courts of the member states in the taking of evidence in civil or commercial matters multilateral memorandum of understanding to which the AMF is a signatory. In disputes against a client, financial institutions may use any information relating to that client they may legitimately have in their possession. In disputes brought by third parties, the principle is that confidential client information is covered by banking secrecy, and therefore, must not be disclosed. Banking secrecy can then be relied upon by a bank to refuse the communication of confidential client information to third parties in civil or commercial litigation, unless the client expressly agrees to the communication on a case-by-case basis. Personal data is covered by banking secrecy. With the exception of the bank’s own customers, the principle is that private parties cannot request the disclosure of personal data held by financial services institutions in civil and commercial matters (see question 18). Personal data is also protected by French data protection laws. Like any other entity responsible for processing personal data, banks have an obligation to protect that data and a duty to secure personal data from access by any ‘non-authorised third party’. Bailiffs acting to enforce a final court decision are authorised to consult the National Registry of Bank Accounts (FICOBA) database, which lists all bank accounts opened in France and contains the names of the beneficiaries of those accounts. This question is not relevant for France as litigants are not subject to any general duty to disclose evidence. monitoring participants and financial products. ensuring that reporting entities comply with the rules governing the procedures for doing business. The AMF and ACPR both have the power to issue sanctions against the companies and individuals subject to their authority through their respective sanctions committees. The AMF has the power to bring court proceedings, be it summary proceedings or ex parte requests, in order to obtain specific injunctions or conservatory measures. The AMF does not have the power to ask courts to impose a fine on a defendant or to order the payment of damages for breach of a regulatory duty. The AMF sanctions committee alone has the power to issue financial penalties. Damages, in other words, compensation for harm caused as a result of a regulatory breach, can only be sought by those who have personally and directly suffered from the breach. However, any sanctions imposed by the sanctions committee may give rise to liability towards third parties under the conditions described in question 23. Court proceedings at the initiative of the AMF are not meant to be an alternative to regulatory proceedings but are supposed to come in support of the same. In that regard, the main benefits for the AMF in bringing court proceedings is often to obtain urgent conservatory measures that its sanctions committee does not have the power to issue. foreign financial markets regulators and supervisors. In a ruling of 26 February 2008, the Supreme Court held that investors are entitled to bring court proceedings against financial institutions who acted as ISPs on the basis of a regulatory breach. In such cases, the regulatory breach will be regarded as an event triggering the civil liability of the defendant, obliging it to compensate the claimant for the harm caused, provided, of course, that the breach is demonstrated as well as a causal link between said breach and the harm suffered. In the course of litigation, there is no duty for a financial institution to disclose complaints made by other private parties. Only the AMF can, under certain conditions, offer a formal settlement called ‘administrative composition’, to persons charged with having engaged in certain regulatory breaches. In practice, when the AMF Board notifies charges to a person under its supervision, it sends a proposal for the opening of an administrative settlement procedure. If the notified person agrees to engage in the settlement procedure, and a settlement is reached, the case will not be referred to the sanctions committee. The AMF may request, as part of the settlement that the person commit to take corrective measures or compensate third parties for damage they have suffered in relation to that person’s behaviour. To date, there is no case law on whether the failure by a financial institution to enforce a settlement agreement can provide grounds for an action brought by a private party against that financial institution. However, according to general principles of tort liability, if a private party can establish that it suffered damage because of the financial institution’s failure to enforce the settlement, then it would seem arguable that the financial institution would be found liable for damages towards that private party. Besides, failure by a financial institution to enforce its obligations under a settlement agreement with the AMF may lead to the cancellation of the agreement and referral of the case to the sanctions committee. There are no statistics on the evolution of the number of financial litigation cases in past years. However, it seems that the bulk of the financial litigation cases have been essentially rooted to the 2008 global financial crisis rather than by changes in the regulatory landscape since then. Though it is not a prerequisite (see question 14), customers may, before they engage court proceedings, submit their claims to an independent mediator whose role is to examine their claims and propose an amicable solution to the dispute. Depending on the nature of the claim, the dispute shall be referred either to the banking mediator (if the claim is against a financial institution and relates to banking operations or investment services) or to the AMF mediator (if the claim is against a financial services firm and relates to investment services). Claims against financial institutions in relation to investment services can be either submitted to the banking or the AMF mediator (but not to both successively). While the AMF mediator is appointed by the AMF, banking mediators are designated by the financial institutions themselves. Each financial institution must designate a mediator, who may be either external to the financial institution or on the financial institution’s payroll but must act with full independence. the mediator’s proposed solution is not binding. The parties can either agree to settle on the basis proposed by the mediator or refer the matter to court (in which case, the mediator’s opinion has no binding effect but might nonetheless influence the court, if produced). The law does not specify or limit the remedies or redress which can be proposed by the mediator. However, the 2017 annual report published by the AMF mediator shows that in all cases where the mediator’s proposal was in favour of the customer, such a proposal took the form of either financial compensation (67 per cent of cases) or enforcement of an order placed by the customer (33 per cent of cases). The amounts proposed by the AMF mediator as compensation in 2017 ranged from €15 to €108,000, with a median value of €1,348. In 96 per cent of cases, the parties settled their dispute based on the AMF mediator’s proposal. According to the AMF, the two areas that are most prevalent in recent years concern speculative online trading (foreign exchange and binary options), on the one hand, and employee investment undertakings on the other. First, the ‘deposit guarantee’ scheme covers all amounts deposited in current and saving accounts, up to €100,000 per customer and per institution. However, life insurance policy, pension savings scheme with an insurance company, or collective pension savings scheme with an insurance company are, in particular, not covered by this guarantee. After the ACPR determines that a bank is no longer in a position to return the deposits to its clients, the compensation process starts under the auspices of the FGDR and customers do not need to take any action to be compensated. Second, the ‘investor compensation’ scheme covers securities and financial instruments entrusted to a financial intermediary (eg, stocks, bonds, units or shares of investments funds) up to €70,000 per customer and per institution. Again, after the ACPR determines that the institution is no longer in a position to return the securities entrusted to it, the compensation is initiated by the FGDR automatically. Finally, the ‘guarantee of performance bonds’ scheme covers performance bonds that a bank (or a financial institution) should issue to certain regulated professions (such as real estate agents, travel agents, insurance brokers, etc), which are required to provide a guarantee to their customers to ensure the proper completion of their projects. In the event that the bank (or the financial institution) that has issued the bond cannot fulfil its commitments, the FGDR will take over for the bank (or the financial institution) until completion of the project. If the regulated professional is in default as regards its customers, compensation will be granted to the customers by the FGDR. The compensation is capped at 90 per cent of the amount of the bond, with a deductible amount of €3,000. Judges will be drawn from within the French judiciary and there will be flexibility regarding the use of English. the applicable exemption (in particular, protection of freedom of expression and whistleblowers).